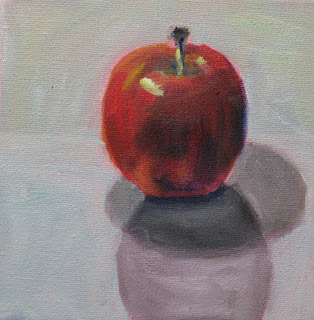 Back to basics - one apple on a small canvas, for the experience of technique a la Carol Marine. The apple was on a shiny surface so there is a shadow and a reflection. Somewhere the yellow got lost, and the red got a bit muddy but it was fun.